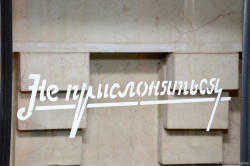 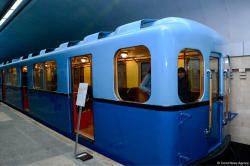 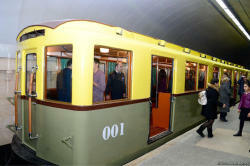 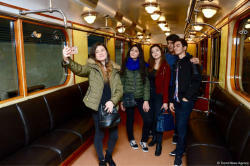 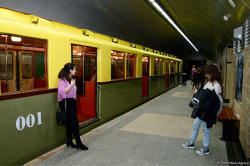 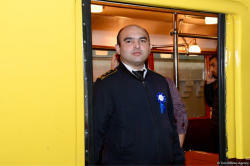 A presentation of the retro carriages, which were restored on the occasion of the 50th anniversary of the Baku Metro, is being held at the Icherisheher station. 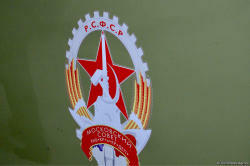 The first such retro- carriages produced by the Mytishchi Machine Building Plant were called “A” type cars. 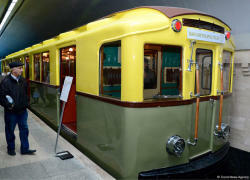 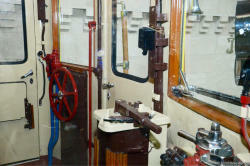 These carriages, manufactured at the end of 1934, had 52 seats and 120 standing places. 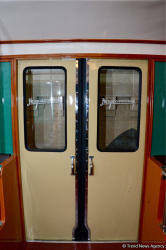 One of the carriages of this type was sent to Baku in 1967 to measure the road. 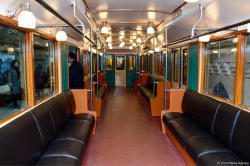 Other retro cars were “G” type carriage, the service life of these cars ended in 1983. 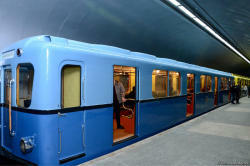 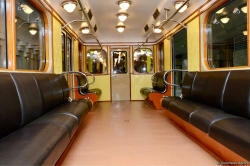 Manufacture of type “E” carriages was started in 1956. 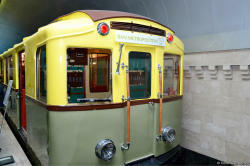 The first “E” type test car was produced at the end of 1959. 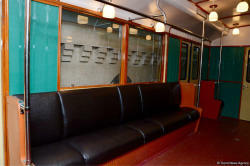 The carriages of this type were sent to five cities including Moscow, Leningrad, Kiev, Tbilisi and Baku, which received 47 carriages of this type.